Welcome to the first ever interview episode of Momentum! My guest for Episode #1 is Erin Straza. 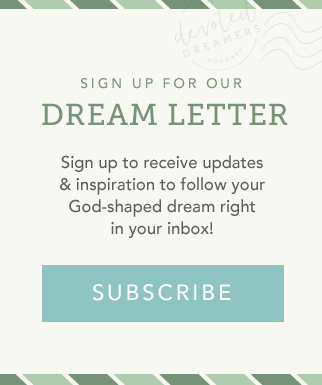 Erin is a creative writer, heartfelt speaker, and redeemed dreamer. She works as the director of marketing and communications for Spread Truth, is the managing editor of the Christ and Pop Culture (CaPC) Magazine, and the cohost of CaPC’s Persuasion podcast with Hannah Anderson. Erin’s first book, titled Comfort Detox: Finding Freedom from the Habits That Bind You, will be available in January 2017. Erin writes from the Illinois flatlands where she lives with her husband, Mike. She is also a dear friend of mine and a fabulous lunch companion! If you are a writer or want to be a writer, this episode is for you. 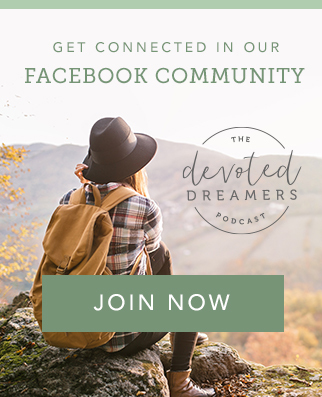 In our conversation, Erin shares her lifelong dream of writing a book and the hard truths God revealed that motivated her to write about comfort addiction—a tendency to numb our emotions and buffer against the hard things of life. But it’s also a book about hope and recovery, showing us how we can become God’s comfort agents to the world. I can’t wait to read it! Erin also talks openly about the struggle to stay focused on creative projects while overcoming self-doubt and comparison. We get to hear about her upcoming projects and how one verse of scripture is helping her to be more present with God and inspiring her towards contentment and faithfulness. I believe you’ll find her joy contagious and her honesty about her fears and challenges inspiring. She turns to DesignSponge and tattoo artist Marla Moon on Instagram.